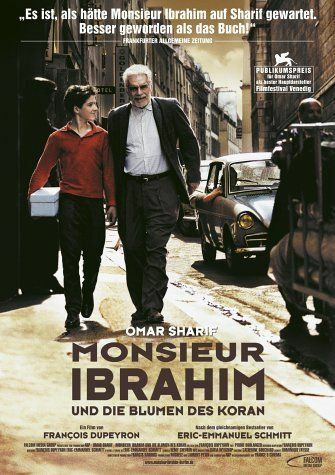 Monsieur Ibrahim is a story about a young Jewish boy in Paris who meets an old Muslim Turkish grocery store owner. The film touches the themes of friendship and love as the old man is a father figure to the boy as he teaches him of the Koran. The film is based on a book of the popular book by the French author Eric-Emmanuel Schmitt.